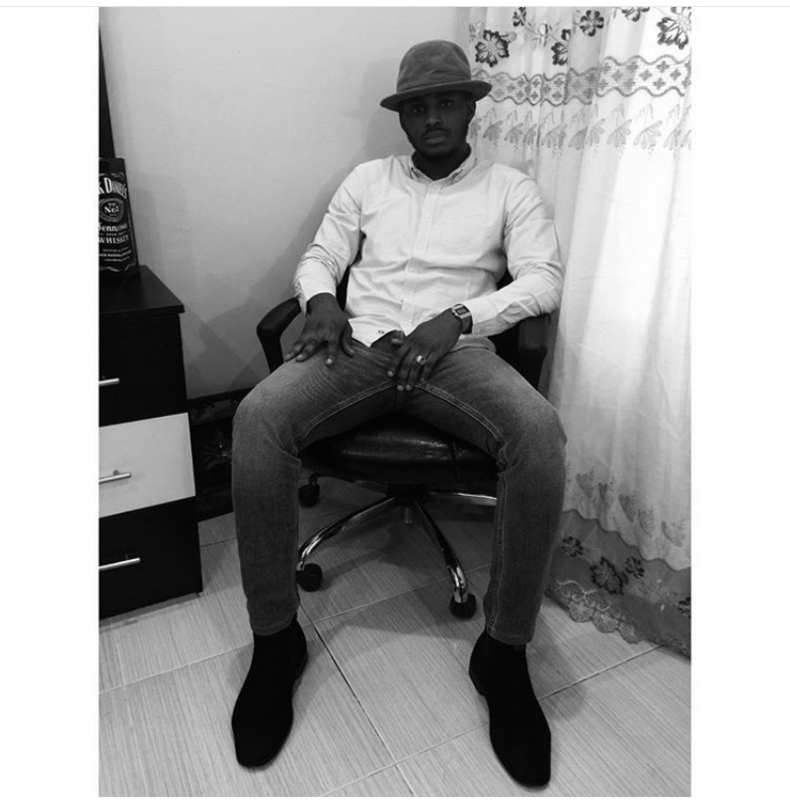 For the love of Chelsea Boots I’ll be discussing for men today. 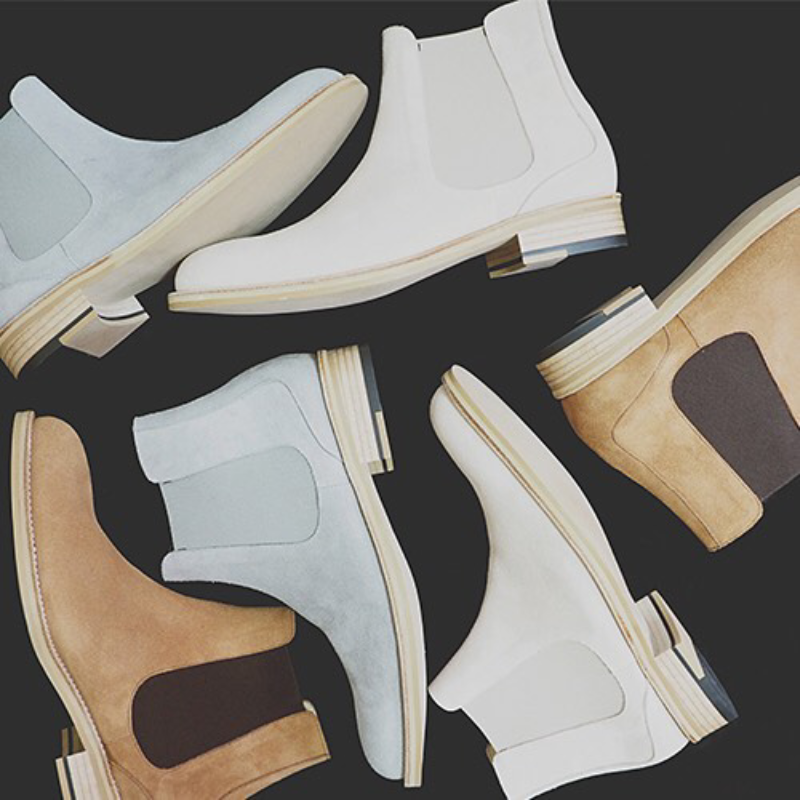 Your wardrobe is not complete if you do not have at least a pair of Chelsea boots. 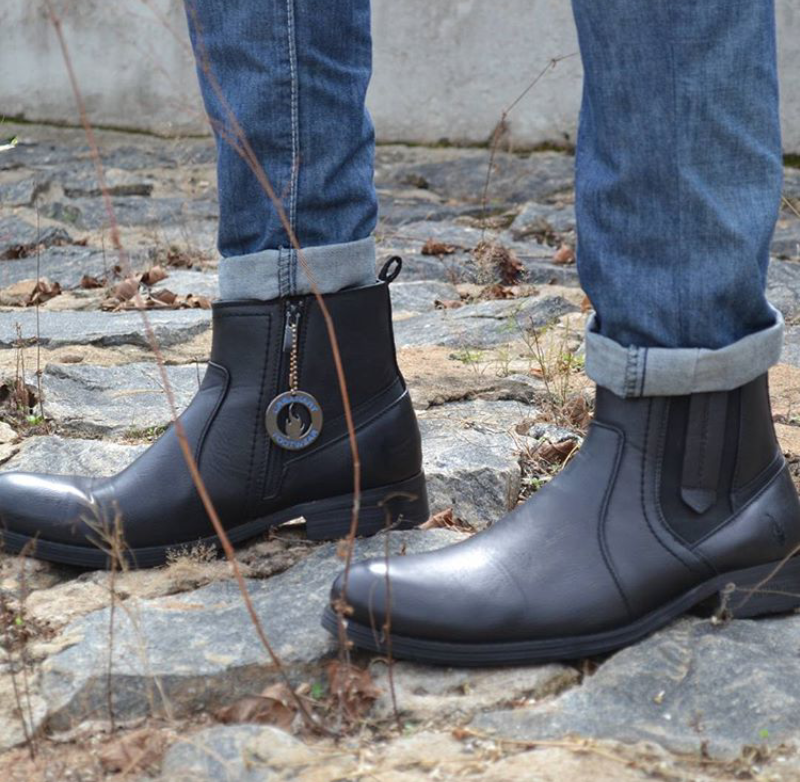 Men wear a lot of boots from Chukkas to Brogue boots, on to Cowboy boots, Chelsea boots and so many other types. 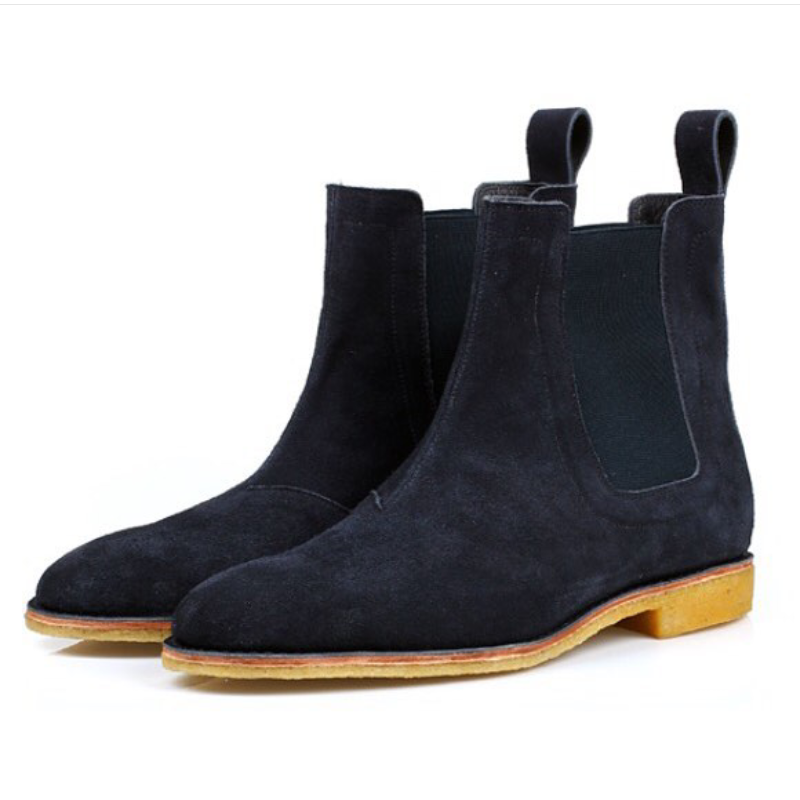 Chelsea boots are made available both in suede and leather material to soothe your taste. It fits perfectly for casual outings and even formal events. 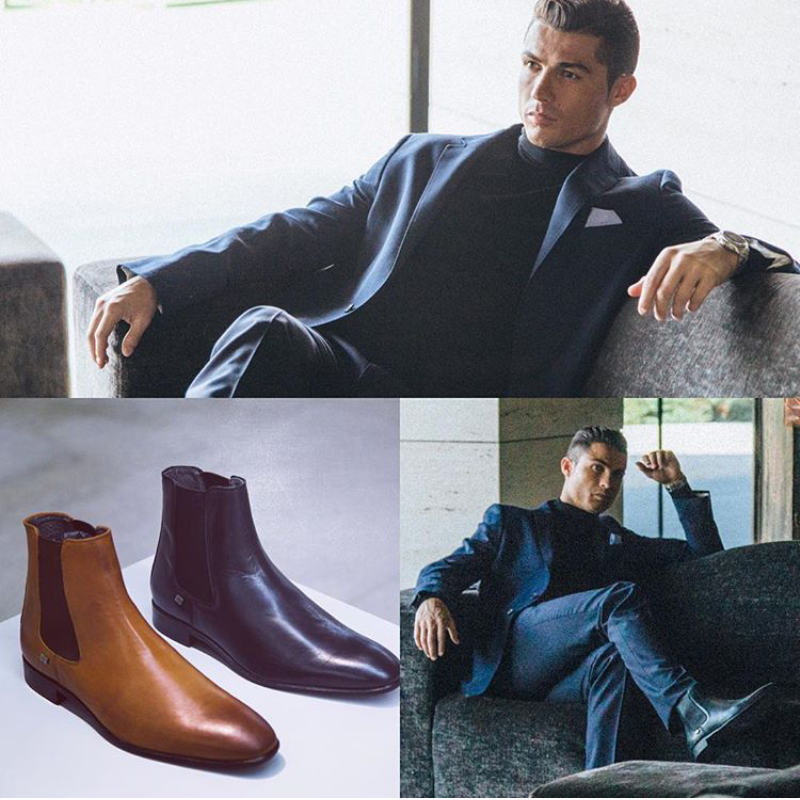 Christiano Ronaldo wearing a pair of leather Chelsea boots. And that’s one of the beautiful things about this shoe. But it does require a lot of maintenance if you want it to remain attractive. 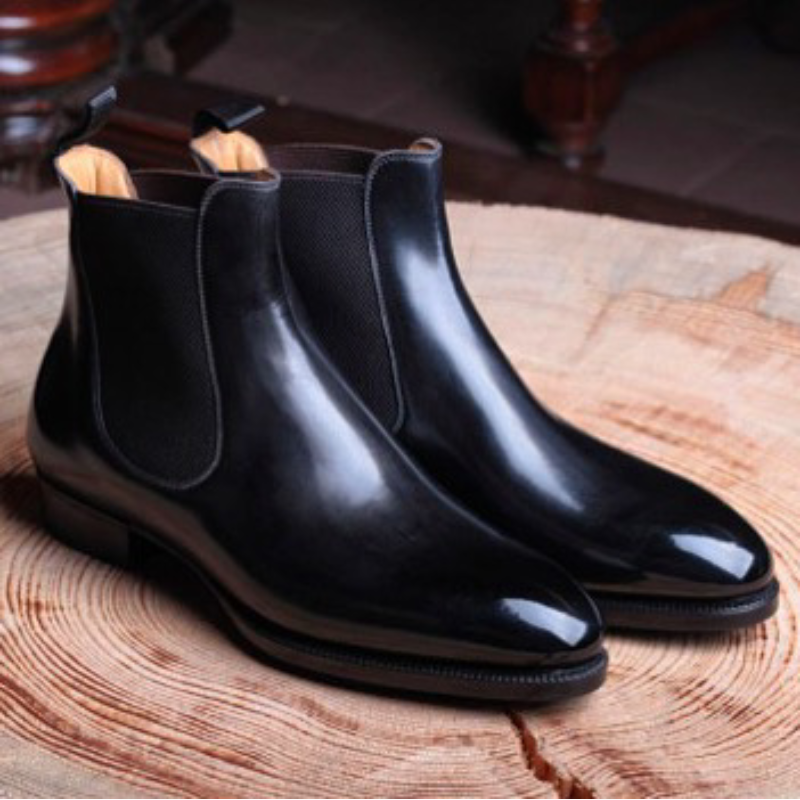 For leather shoes, to maintain their condition, a rigorous cleaning regimen is required. 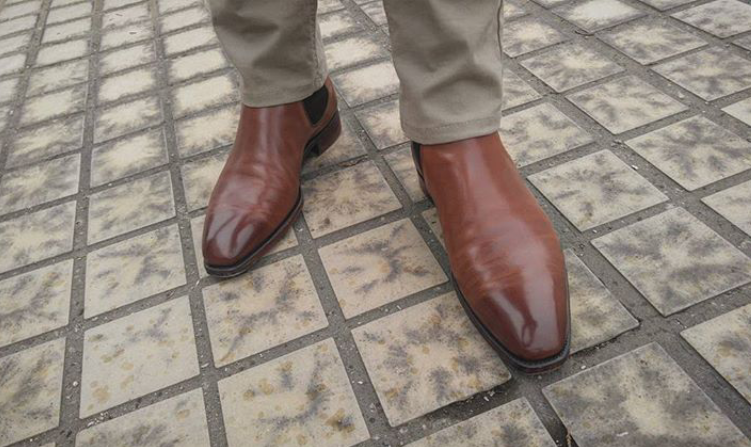 Properly maintained leather shoes will have a long life and be wearable for years. Below lists some of the essential shoe care tools required to care for a pair of leather shoes. Used to brush dust and debris from leather shoes. This is the first step in routine maintenance for shoes. Saddle soap, ivory soap, or specialty leather cleaners can be used to clean a leather shoe. This should be applied with a damp cloth and then wiped off. Allow the shoe to dry on a cedar shoe tree before polishing or conditioning. The cedar helps draw out excess moisture and odors from the leather after the shoes are worn. Inserting a shoe tree into the shoe as soon as it is taken off will help the shoe maintain its proper shape. Available as both a cream/paste or wax. Cream/paste polishes well help the leather retain the proper amount of moisture. Wax polishes may lock out the moisture and cause the shoe to dry out more quickly. However, a wax polish is better at covering up scuffs than cream polishes. Leather conditioners help keep the shoe supple and prevent the leather from drying out. Apply it as needed. Leather shoes should be brushed off after each use and then returned to the cedar shoe tree. When it is time to polish the shoes, the laces should be removed, then the shoes should be brushed off to remove any dust. After they have been brushed, shoes should be cleaned, left to dry on a cedar shoe tree, and then polished and conditioned. Be sure to follow the instructions for use on the selected shoe polish to avoid any residue being left behind. For a quick scuff cover up, the scuff can be colored in with a matching crayon. However, this is a temporary fix and not a long-term solution. As soon as suede shoes have been brought home, they should be sprayed with a weatherproof spray that is designed for suede shoes. Repeat this step as needed. Purchase a suede brush and routinely brush the dust and debris from shoes. 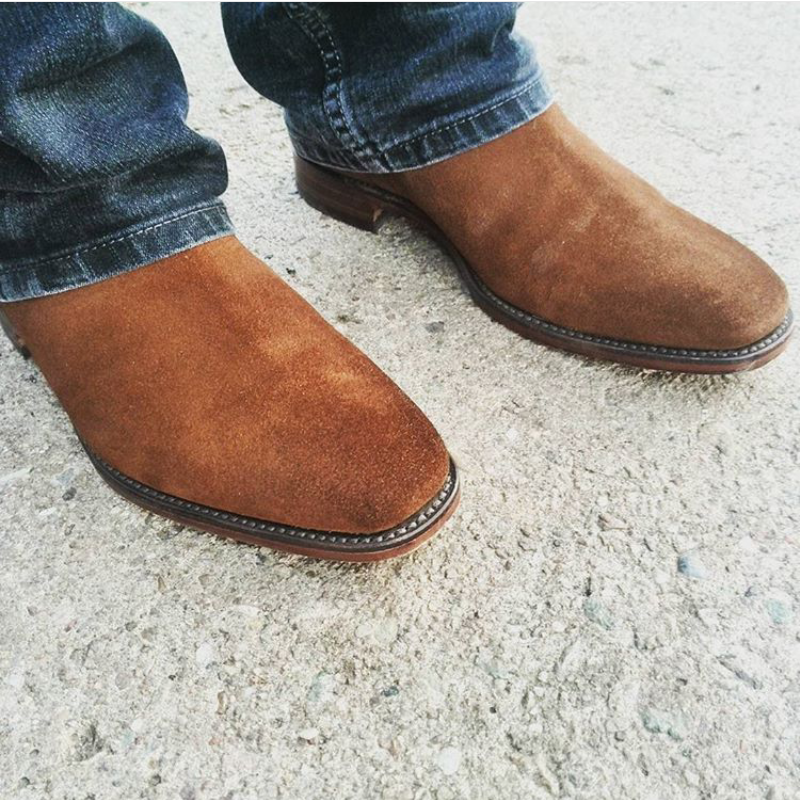 A good habit to have is brushing down suede shoes immediately after they have been worn. If they become damp, draw out the excess moisture with a towel and then allow to air dry at room temperature. Setting them in the sun or drying them with heat may cause discoloration. For oil stains, apply talcum powder and let sit for several hours. Brush off the powder with the suede brush and repeat as needed. Solvent based cleaners designed for suede shoes can also be used to remove stains. Serious stains may need to be taken to a professional to reduce the risk of stain removal damaging the shoes. 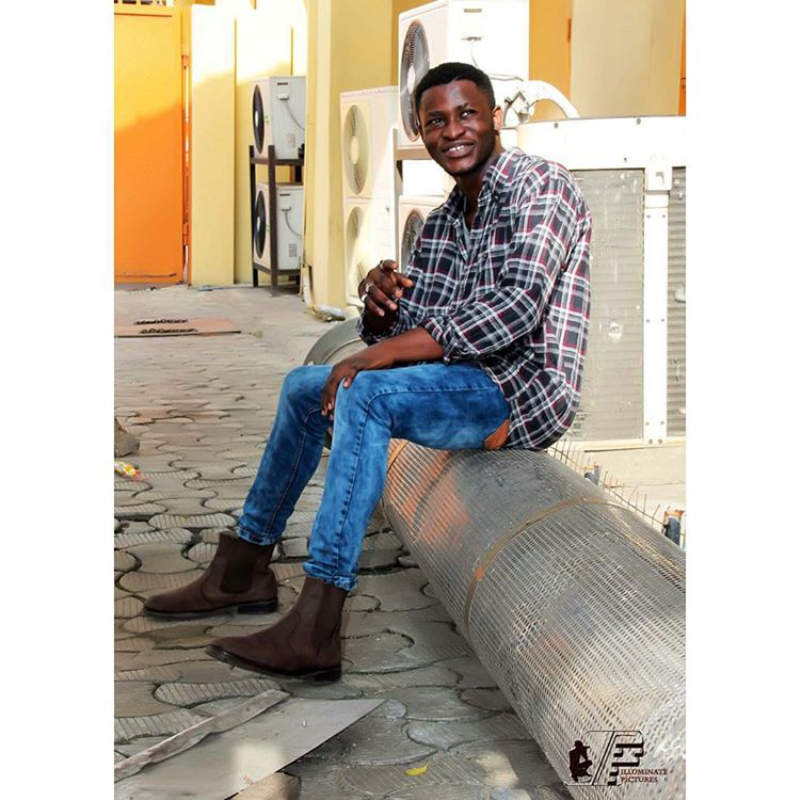 It’s not ideal to wear them on baggy trousers as they tend to cover most part of the shoe, and concealing the beauty of the boots. Don’t get me wrong, I didn’t say it’s bad or horrible but doesn’t this look better? They look so much better with fitted trousers. 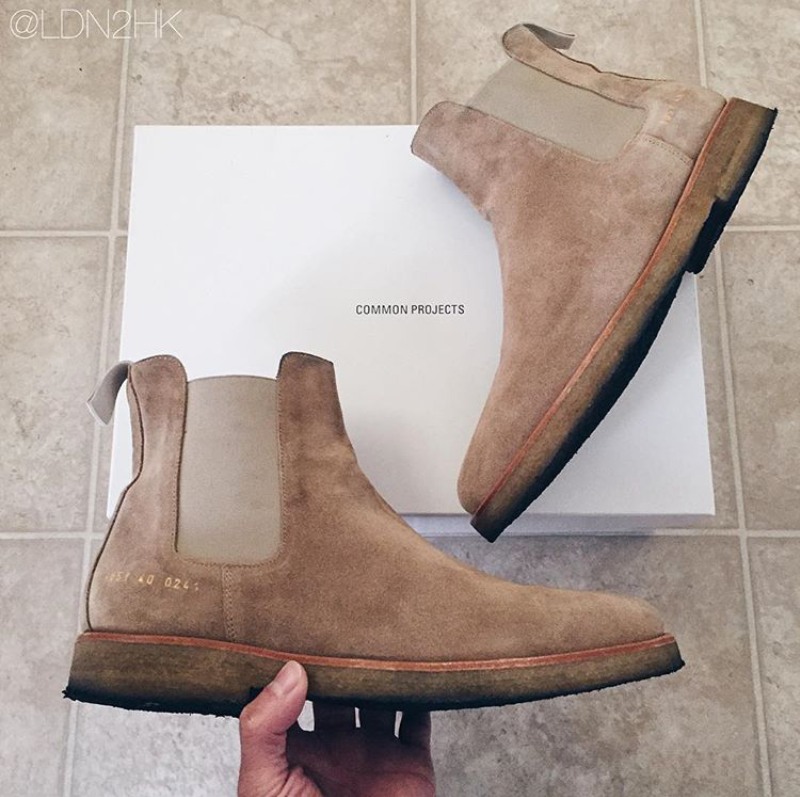 Be careful of how you wear your Chelsea boots from today. Always look clean and commendable all the time. You should get yours if you love it. It’s available on our Nigerian online stores (Jumia, Konga, Kaymu, etc) and boutiques. 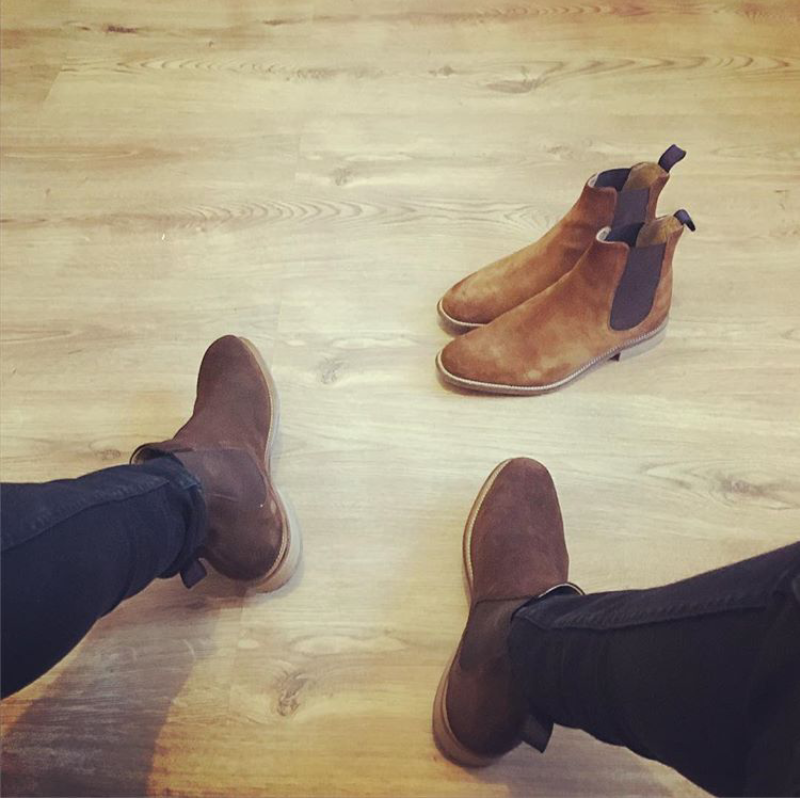 Oh yes, I also wear Chelsea boots. Best of luck looking good. 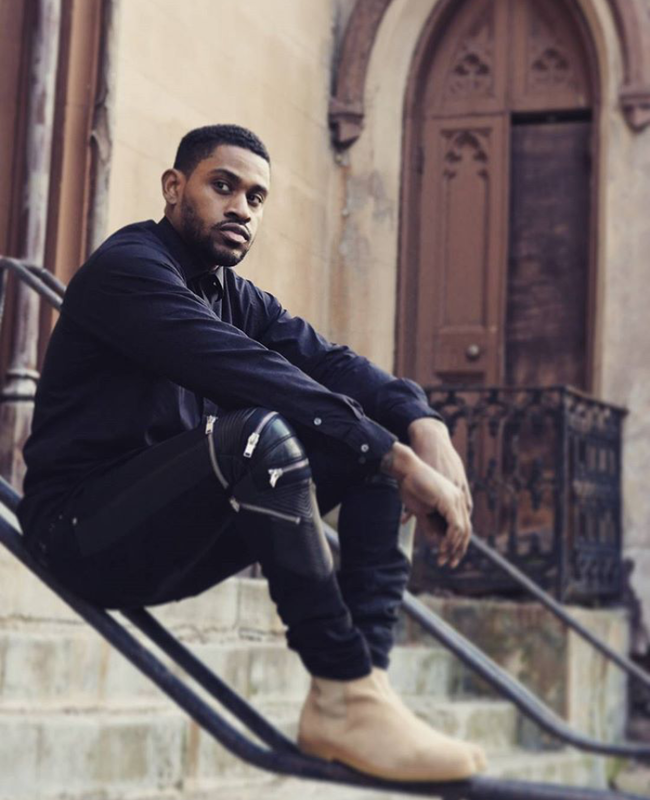 Women wear Chelsea boots. 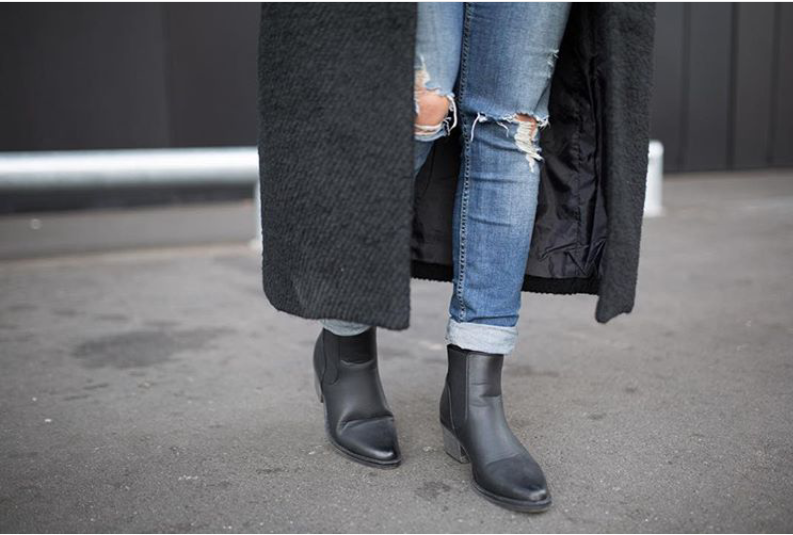 Stay updated for post on Chelsea boots women. Next Post Is Love Blind? Lol! 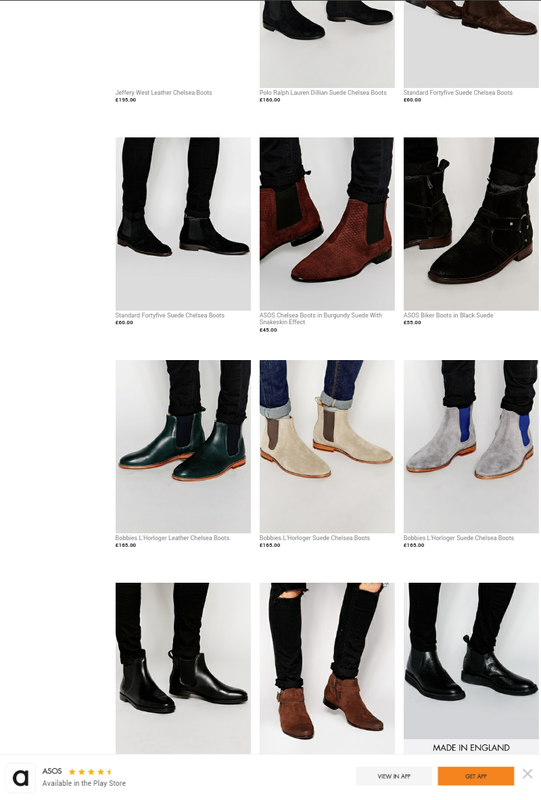 Chelsea boots getting a super advert there… I must say, you have a unique blog content.